OTTAWA, January 03, 2019 — Boeing, a leader in the Canadian aerospace industry, is enabling veterans with a chance to heal and return to meaningful civilian lives. 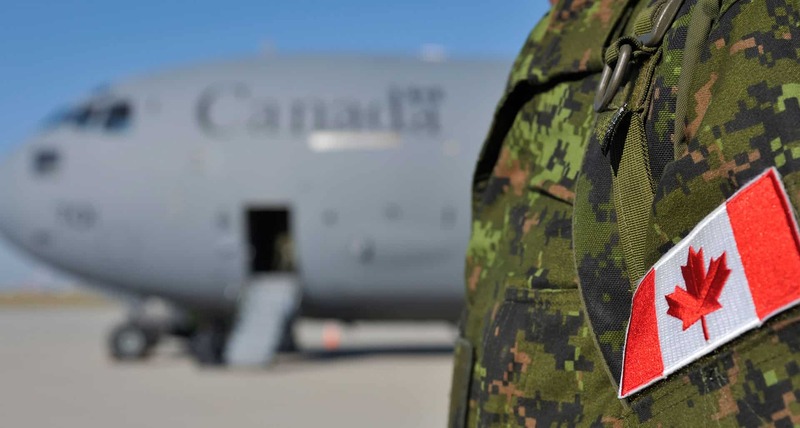 Boeing Ottawa‘s recent $40,000 USD contribution to the Veterans Transition Network (VTN) is much needed to continue providing assistance to former Canadian Forces and RCMP members in Ottawa. The transition period from military to civilian life is often the most difficult and critical time for Veterans. Many face traumatic memories and challenges finding their place in the civilian world. The VTN’s Veterans Transition Program (VTP) helps Veterans to overcome these difficulties and has shown life-altering changes to participants’ mental health, personal relationships, and future planning. Graduates leave the program with a newfound sense of hope and motivation for their civilian lives. Oliver Thorne, the Veterans Transition Network’s Executive Director says it is important that the VTN receives community grants like this. Boeing Ottawa’s recent donation follows support to the VTN from Boeing Vancouver. Since 2016, Boeing Vancouver has provided funds needed to equip VTP Clinicians with skills to assist Canadian Vets through transition. Since 1998, nearly 1000 men and women have completed the Veterans Transition Program in Canada, with 110 graduates in Ontario. Program participants receive 100 hours of counselling in just 3 weekends, getting them back to their families and communities with little time lost from their everyday lives. All costs of the program, including transportation and accommodation are covered by the VTN. Space for the upcoming Ottawa program is limited. To find out more please contact Patrick Thomas at patrick@vtncanada.org. Boeing is a leader in the Canadian aerospace industry — Through purposeful investments, employee engagement and advocacy efforts, Boeing and its employees support innovative partnerships and programs that align with the company’s strategic objectives, create value and help build better communities worldwide. See how Boeing is making a difference for Our Future, Our Heroes and Our Homes by visiting the 2018 Boeing Global Engagement Portfolio at Boeing.com/community. Engage with Boeing on social @Boeing with #BoeingInspires.